Our dedication to excellence, as well as client satisfaction, drives new growth and revenue for our clients. It also leads to international and national recognition of WebFX by respected organizations throughout the design, marketing, and business sectors. As a leading Internet marketing company, WebFX has won dozens of awards for achievements in entrepreneurship, historical preservation, search engine optimization, web design, and more. Below, you’ll find a few of our most notable company and client achievements. Click here to browse our collection of company and leadership awards, web design awards, marketing awards, and search engine optimization awards. Best Workplaces for commuters (BWC), is an innovative program that provides qualified employers with national recognition and an elite designation for offering outstanding commuter benefits. WebFX is proud to have made the list! We were recognized by UpCity for being in the top 1 percent of digital marketing agencies. 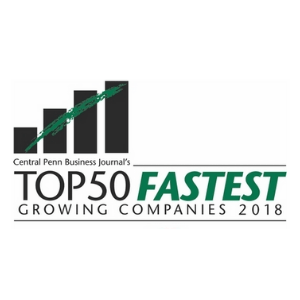 We were recognized by Central Penn Business Journal for our fast-growing company! One of the top 50 in the region! WebFX - 2018 Inc.5000 list of Fastest Growing Companies in the U.S.
WebFX was featured on the Inc.5000 list of the fastest growing companies in the U.S among many other extremely prestigious companies. What an absolute honor it is to be the number one place to work in Pennsylvania for the fourth year in a row! On such a presegious list, WebFX is thrilled and thankful to say we have the best coworkers in PA! WebFX was named the #1 SEO agency in the world by Clutch! That's a pretty big honor! 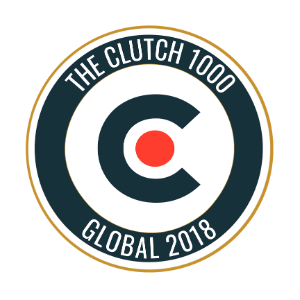 To top it off, we were also number 29 out of 1000 businesses on Clutch's inaugural "Clutch List"! The Best Places to Work in PA initiative identifies and recognizes Pennsylvania's top employers. We were pretty excited to be #1 for three years in a row! DealCrunch highlights the industry’s best in marketing, as well as up-and-coming companies. 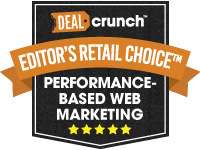 WebFX earned recognition from DealCrunch for our ability to create effective digital solutions at reasonable prices. The Best Places to Work in PA initiative identifies and recognizes Pennsylvania's top employers. We were pretty excited to be #1 for a second year in a row! The Best Places to Work in PA initiative identifies and recognizes Pennsylvania's top employers. We were pretty excited to be #1! 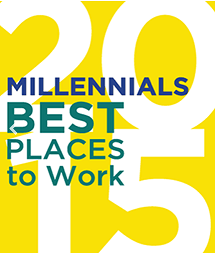 The Center for Generational Kinetics recognized the top 75 employers for millennials based on their leadership, innovation, and commitment to employing the fastest-growing generation in the workforce. The Inc. 5000 award honors the extraordinary journeys of America’s fastest growing companies. With 196% 3-year growth, this was our third time making the list of the fastest-growing companies in America. The Best Places to Work in PA initiative identifies and recognizes Pennsylvania's top employers — including WebFX. We were thrilled to receive recognition!. WebFX President William Craig was awarded the Central Penn Business Journal's 2017 Executive of the Year, which highlights an outstanding business leader in Central Pennsylvania. WWebFX President William Craig was a finalist for Central Penn Business Journal's 2014 Entrepreneur of the Year, which recognizes up-and-coming business leaders with industry-changing ideas. The Inc. 5000 award recognizes some of the fastest-growing businesses in the U.S. With a 270 percent growth in a three-year period and more than 30 new employees hired, WebFX was honored in the 2014 Inc. 5000 list of the fastest growing companies in America. 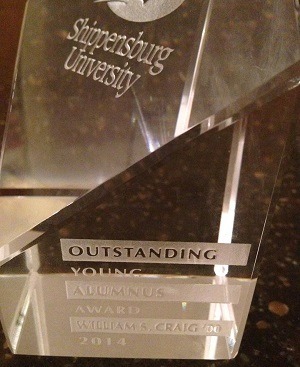 Shippensburg University recognized WebFX President and CEO William Craig as one of five recipients of its 2014 Outstanding Young Alumnus Award. The Best Places to Work in PA initiative identifies and recognizes Pennsylvania's top employers. We were happy to receive recognition — and excited to make it even better. The Technology Awards recognize the game-changers advancing technology in PA. The award not only recognized excellence in technology but also excellence in service and results for our clients. The 2012 Business of the Year award winners and finalists have spent years building their experience and growing their businesses. WebFX received recognition for flexing its business muscles through fabulous success stories. 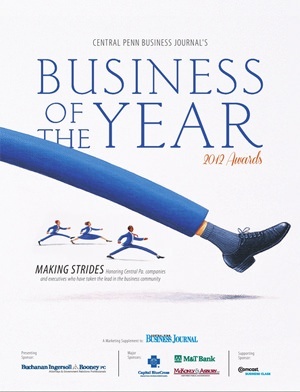 View the Business of the Year 2012 Edition. The Best Places to Work in PA initiative identifies and recognizes Pennsylvania's top employers — including WebFX among small to mid-sized businesses! The Inc. 500|5000 list has included companies such as Microsoft, Oracle, Zappos.com, and more. Almost seven million private, employer-based companies are in the U.S.A — and WebFX is one of the fastest-growing! The Central Penn Business Journal celebrates the economic success of the area's fastest growing businesses. WebFX was honored to earn recognition, as well as give back to the area by introducing new jobs. TThe Capital Region Economic Development Corporation honored William Craig, WebFX President and CEO, for his achievement in executing his unique business concept and continually innovating business. Central Penn Business Journal’s Business of the Year awards acknowledge outstanding companies who contribute to the success to the Central Pennsylvania area. We were thrilled to receive recognition for our growing company. 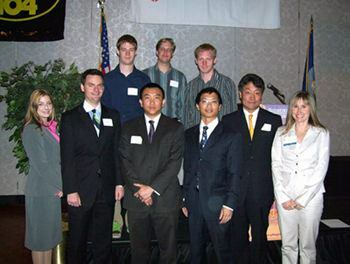 The Capital Region Economic Development Corporation recognizes small emerging businesses for their entrepreneurial success in the Capital Region, including WebFX in 2009. 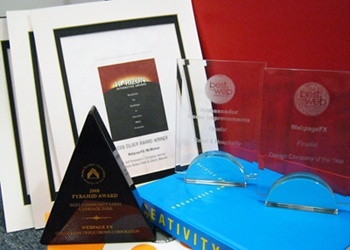 WebFX has also been recognized by leading international awards programs, including the Hermes Creative Awards and the Communicator Awards, for excellence in marketing and communications. These international competitions receive thousands of entries and review by industry-leading executives from Disney, Time, and more. WebFX has been the recipient of more than 45 design awards, including Best of Web from the Horizon Interactive Awards. The prominent and international competition receives thousands of entries and recognizes the best websites in design and functionality. The Horizon Interactive Awards have acknowledged WebFX with Gold, Silver, and Bronze distinctions. 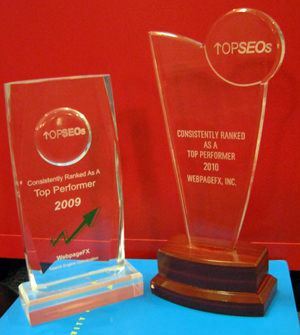 What does it mean to be the best SEO company in the world? Well, it means a few things. It means that your company regularly makes a real difference in not just the websites of its clients, but also in their lives, and also in the lives of their employees. By optimizing the websites of our clients, we're doing more than ranking them better. We're also increasing their visibility and profitability, which means they can pay their employees more, hire more people, and improve more lives. In turn, we get more business, which allows us to hire more WebFX family members, and enrich more lives. Being the best SEO company in the world means that we've proven ourselves. It means we're seen as a company that people know they can trust. It means that there's no doubt about the results we'll deliver for potential clients. Lots of digital marketing agencies can win awards, but not many of them can win Horizon Awards for design, Entrepreneurial awards for leadership, and be named the top SEO firm in the nation (or the world).